← Pls take note of the Email sent to all customers of Institut Anca concerning the New Treatments , New Prices , New Products !! In this terms will be a necessity to have a look to the Institut Anca Site institutanca.net ! I think it is a must for me , by Respect and Consideration for all customers to keep you informed of any Change !! I see a customer who is Promoting Yves Rocher , or L’Oreal etc and I do Not Have nothing against any one choice but in case you still choose to come for Esthetic Services and Naturopath to Institut Anca then maybe , in case you are promoting Yves Rocher , the services of Yves Rocher respond better to one expectations !!! Yves Rocher his Big Promotions are Based in New Tendancy of Tradition de Hammam and promoting New Natural Skin Care Cosmetics underthe Name of Tradition de Hammam and offering You Gifts from China !!! So all depends If Any One it is aware about The Means of A 100% Natural Cosmetics !? For your Info here are a Few Ingredients of the New Tradition de Hammam : sodium palmate , tetrasodium etidronate, sodium chloride , sodium hydroxide , fragrance / perfume etc !! I both this products to Keep my self Informed and to provide to You the Info in case you are interested to know about the differences between a 100% Natural Products and the Immitations !! I am Sorry not being able to Offer to You Gifts from China !! I was always Offered to You Gifts of Valuable work issued from Natural Sources and Certified by France Lab and Germany as being Bio Org And Eco Cert and also Fair Trade !!! Every one it is different and I respect any One Choices , this is why in this year coming I will provide services only to the ones animated by the same Credo and Believes !! It is all About Respecting any One Choices ! Yves Rocher they also have Qualified Estheticians and I am Sure will respond very well to some customers expectations !! No Doubts !! Again .. I am not gona be able to Offer you Gifts from China !!! Before any Visit and Demand for Services pls have a Look to Our Site and make sure it is going to be in perfect accord with your Believes and Preferences !! Thank You To all !! Always appreciating Your Clientele ! Much Love , Joy , Health to All !! Have a Good Week Ahead !!! Info : Yves Rocher New ” Tradition de Hammam ” !! Masque Rhassoul Composition of a Product claiming being Natural !! Only fr the Ones who care about what are Applying to their Skin !! I have this product in my hands cause I am Very Interested to Analise and Compare and also to keep informed all Caring about Natural !!! Yes it is about Rhassoul that I informed you being a Miracle Clay but seems not being interesting , only since Yves Rocher Promoting it the Rhassoul and the Black Soap as well Argan Oil !!! Well I am Happy all got to know by the end ! Thanks to Yves Rocher !!! So Mask a L’Argile – Face and Hair Ingredients : – Cetyl Alcohol , Propilene Glycol, Acrilan cross polymer,ethil PARABEN , tetras odium EDTA , Bismuth Oxychloride , titanium Dioxide , acrylatesic 10-30 , cocamidopropyl Betaine , Bismuth Oxychloride , perfume/ fragrance , Rhassoul , Argan Oil , Rose water ! I am not having the Pretention to be a Chemist , But I do Know the Difference Between a Natural Product and One Claiming to Be Natural !!! This Product it is Offered in its Original Natural Version and it is ” Secret de Beaute Marocaine ” No Chemicals Additives , No Perfumes and Artificials Fragrances !! For you to Compare the Composants of Secret de Beaute Marocaine : Rhassoul ( Marocco Clay ) , Bio Org Argan Oil , Rose water , Rose Essential Oil , Vit E ( as a preservative along with Cosgard – A Natural Preservative corn extract ) !!!! So … It is Possible to Have a 100 % Natural Product based on the same Main Ingredients and Concept !!! THEIR am Promoting the Work of Cooperatives , a Fair Trade Products and not Big Companies basing their Profits on The Chip Work of China People !!!! The More Choices we have … Better it is for everyone !!! 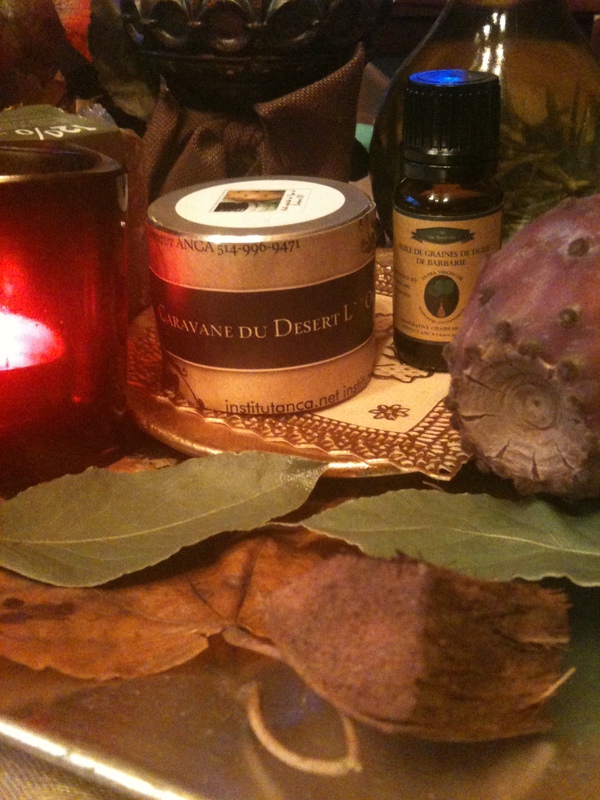 Posted by institutanca on December 3, 2012 in Bio Org Natural Cosmetics " Provence & Maroc "